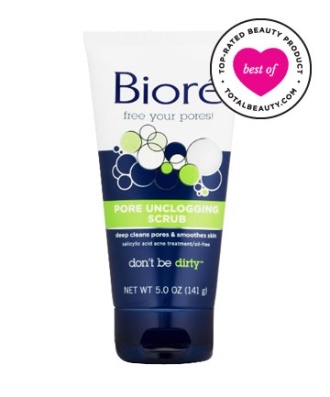 top 9 anti-acne products totalbeauty.com - Anna is Clear® improves the important microbiome. The result is improving/preventing a blemished skin with comedones (blak- and white heads) , spots, pimples and zits. Normalises the Cutibacterium ( formely the Propionibacterium) acnes. As consumers choice the best anti-acne product is it really the best? A nice overview of how the consumer is looking for products in comparison with how the experts looking at a formula. For Anna is Clear we are engaged in a constant battle to explain the consumer, beauty experts and buyers why Anna is Clear is so unique and so beneficial. The main reasons are that Anna is Clear the first (100% natural) product on the market is without harsh ingredients and also the first product with a unique preventive application. Additionally the formula is rewarded with two worldwide patents what further indicate how revolutionary the formula is. We understand that it is sometimes difficult to be open to new developments when you work for decades in the beauty industry with products based on benzoyl peroxide, salicylic acid, AHAs, tea tree etc. When no major innovations come along except new mixes of existing traditional ingredients and new marketing names as “micro technology” etc. Nice is that we notice that more and more knowledge and understanding grows for our revolutionary Anna is Clear. Also there’s a growing knowledge about the importance of the beneficial bacteria in and on our bodies and that you just do not want to destroy those important bacteria. Anna Clear doesn’t affect these bacteria but only normalizes the P.acnes. Additionally Anna is Clear strengthens the natural function of the skin such as probiotics or pro-biotic. More and more positive reviews we receive which we read with great pleasure and pride. Of course out of marketing perspective we must rely on the power of our own formula. But if there is limited knowledge about the current products and their side effects it seemed to us well to take a closer look at the 2014 top 9 anti-acne OTC products. Because we want to give you an honest overview we placed Anna is Clear as number 1A (we couldn't choose for another number ....:-)) and try to put it down the same way as the other products out of the top 9. 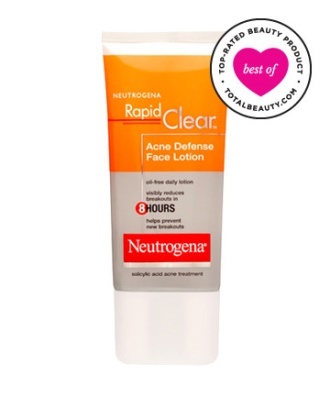 Below is the list of the top 9 anti-acne products for 2014 according to the website totalbeauty.com *. A website that is praised in the cosmetic world for its independent reviews, mostly written by enthusiastic fans of cosmetics. Are the products from these top 10 really that good or it has been the perception of the end consumer? Have they fallen for the strong marketing multinationals put together with help from celebrities and dermatologists which recommend products or are these products demonstrably better for the skin? In a first analysis, we see that the nine products that are in the top 9 all contain alcohol. It is known that products that dry out the skin (including alcohol) irritate **** and the antiseptic properties of ingredients negate. Next, a dry skin will produce more sebum which increases the chance of blackheads and pimples eventually. Initially, alcohol is an ingredient that we do not want to find in skin products. Eight of the nine products contain salicylic acid in percentages of 1 to 2% (2% is the highest percentage permitted by law). Salicylic acid dissolves the "glue" between the skin cells (exfoliation) and because it is fat-soluble, it can penetrate deep into the pores. To do its work the product in which salicylic acid is processed needs to have a low acidity (pH value) of between 3 and 4. Unfortunately the acidity of a product is not mentioned on the label so the consumer can’t check! In many of the top 9 products are also AHA's which are almost identical to salicylic acid (BHA). But AHA’s penetrate less into the skin and are therefore as milder exfoliant. AHA’s do affect the natural skins sun protection. Consumers will have an increased risk to burn or get skin blemishes. If you use products with AHAs (or the ingredient benzoyl peroxide that is available only from pharmacies) then you need to apply sunscreen to protect the skin. To camouflage irritants ***** and solve the skins dehydration products based on traditional harsh ingredients need a lot of ingredients that nourish the skin and care. Hence a long INCI's (ingredient list). To make it even more complete, we have added the rating and comments by beauty expert Paula Begoun *** from her famous website beautypedia.com. A site on which cosmetic experts review products. This creates a nice overview of what kind of active and inactive ingredients are used in the product, which claims makes the brand, whether the product are tested on animals and a nice overview on the comments of an expert team compared to the top 9 ranking given by end consumers to the product. This gives surprising results! We suggest you read the following list through and draw your own conclusions. We’re also interested in your opinion and if you have any experience with the products from the top 9. Happy reading and "let's Clear the world naturally!" Warnings: Sunburn Alert: This product contains an alpha hydroxy acid (AHA) that may increase your skin's sensitivity to the sun and particularly the possibility of sunburn. Use a sunscreen, wear protective clothing and limit sun exposure while using this product and for a week afterwards. For external use only. Ask a doctor or pharmacist before use if you are using other topical acne medications at the same time or immediately following use of this product. This may increase dryness or irritation of the skin. If this occurs, only one medication should be used unless directed by a doctor. When using this product avoid contact with eyes. If contact occurs, flush thoroughly with water.Keep out of reach of children. If swallowed, get medical help or contact a Poison Control Center right away. 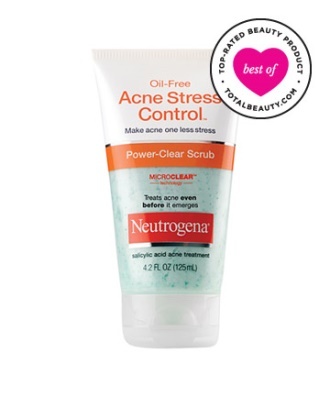 Comments by Beautypedia: “Oil-Free Acne Stress Control Power-Clear Scrub contains menthol, which makes it too irritating for all skin types. The 2% salicylic acid isn’t going to benefit blemish-prone skin when used in a topical scrub because it is basically rinsed down the drain right after it’s applied and doesn’t have time to absorb into the skin. CLAIM by Yes to Tomatoes: “This acne-fighting scrub is powerful enough to combat blackheads and breakouts, but gentle enough for daily use. Ground mango seeds and bamboo exfoliate skin and help skin turnover a clean, clear surface. The Salicylic Acid combats acne and blemishes, Tomatoes help unclog pores, and a blend of Ginger Root and Bisabolol helps skin avoid redness”. Warnings: For external use only. Flammable - keep away from open flame. Warnings: For external use only. Flammable, keep away from open fire or flame. When using this product and other topical acne medications at the same time or immediately following use of this product, may increase dryness or irritation of the skin If this occurs, only one medication should be used unless directed by a doctor. Keep out of reach of children. If swallowed, get medical help or contact a Poison Control Center right away. Avoid contact with eyes. If contact occurs, flush thoroughly with water. Sunburn Alert: This product contains an alpha hydroxy acid (AHA) that may increase your skin's sensitivity to the sun and particularly the possibility of sunburn. 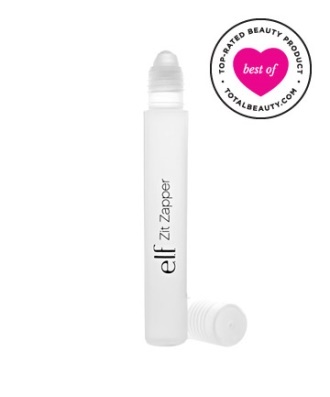 Use a sunscreen and limit sun exposure while using this product and for a week afterwards. 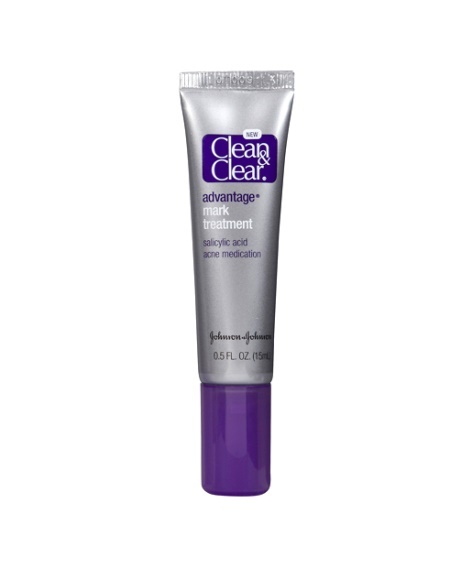 Claims by Clearasil (Reckit Benckiser): “Clearasil Ultra® Action Pads are dermatologist tested and visibly reduces pimple size and redness in as little as 4 hours. The acne pads are scientifically formulated with maximum strength acne medication in an exfoliating action pad that works quickly to open blocked pores”. Warnings: For external use only. Flammable keep away from extreme hear or open flame. When using this product Avoid contact with the eyes. If product gets into the eyes rinse thoroughly with water Skin irritation and dryness is more likely to occur if you use another topical acne medication at the same time. If irritation occurs, only use one topical acne medication at a time Limit use to the face and neck Stop use and ask a doctor if skin or eye irritation develops. Keep out of reach of children. If swallowed, get medical help or contact a Poison Control Center right away. 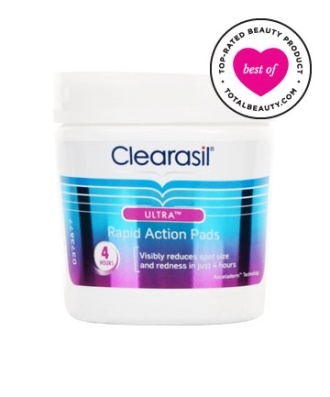 Comments by Beautypedia: “Clearasil's Ultra Rapid Action Pads are highly unlikely to reduce your breakouts but very likely to make redness, dryness, and flaking skin worse. Sadly, these pads are another example of a poor formula for acne-prone skin. The amount of alcohol is cause for concern and potentially enough to cause irritation that will make oily skin worse (see More Info for details). Warnings: For external use only. When using this product, keep out of eyes. Rinse with water remove. Using other topical acne medications at the same time or immediately following use of this product may increase dryness or irritation of the skin. If this occurs, only one medication should be used unless directed by a doctor. Stop use & ask a doctor if rash occurs. Keep out of reach of children. Protect the product in this container from excessive heat & direct sun. Warnings: For external use only. Using other topical acne medications at the same time or immediately following use of this product may increase dryness or irritation of the skin. If this occurs, only one medication should be used unless directed by a doctor. When using this product avoid contact with eyes. If contact occurs, flush thoroughly with water. Keep out of reach of children. If swallowed, get medical help or contact a Poison Control Center right away. Claim by Bye Bye: “Overnight spot treatment rapidly reduces the size and severity of pimples. Maximum strength salicylic acid exfoliates dead skin cells, allowing the all-natural drying agents to penetrate pores and treat infection”. Claim by Anna is Clear: “The first 100% natural formulation to prevent starting comedones, spots and zits to grow to bigger problems. Ultimately preventing infections and lifetime scarring. Unique as Anna is Clear only normalize the Propionibacterium acnes, the causative bacteria for acne, without harming the healthy skin’s bacteria. The combination of the patented transdermal transport and the immune stimulant properties generates a powerful and unique combination to prevent physical syndromes of acne. PLEASE NOTE: Anna is Clear doesn't work on already infected area's, use it with the first appearance in a problem area. Warnings: no warnings. Anna is Clear is virtually edible and could be called a food. It is normal a prickly sensation may occur after the liquid has been applied. All ingredients are known and recognized by the skin and not known to induce an allergic reaction. ***Paula Begoun is recognized worldwide as The Cosmetics Cop. For the past three decades she has tirelessly reported on the good, bad, beautiful, and ugly side of the billion dollar cosmetics industry. Her candid reviews are backed by published scientific studies and countless interviews with cosmetic chemists, dermatologists, oncologists, toxicologists, regulatory experts, raw material suppliers, and numerous industry insiders. Paula works closely with and has personally trained each member of the Paula's Choice Research Team. ****Applying irritating ingredients to oily skin stimulates excess oil production at the base of the pores, so skin ends up being more oily and pores become (or stay) enlarged. If you want to see improvements in oily skin, the best approach is to treat your skin gently with effective products designed to absorb excess oil, exfoliate inside the pore, and help normalize pore function (Sources: Clinical Dermatology, September-October 2004, pages 360–366; and Dermatology, January 2003, pages 17–23). Source beautypedia. (Many products contain ingredients which might be iritating – and many people get (serious) reactions. 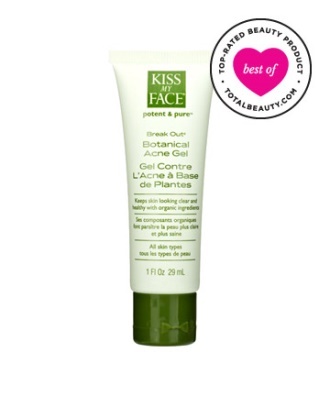 Hereunder a list with ingredients which has been proven to give irritating responses by the skin.